Who doesn’t need their car washed in the spring when all the yellow pollen is raining down?!? Roosevelt Jazz musicians and families hold a spring car wash to raise money for our program. Roosevelt Jazz is an award-winning, public school music program that includes professional musical directors for four different jazz bands plus a Vocal Jazz ensemble, outside clinicians, juried performances, and even travel to festivals out of the area. The program is open to ALL Roosevelt HS musicians and vocalists, regardless of need, so fundraising is essential. 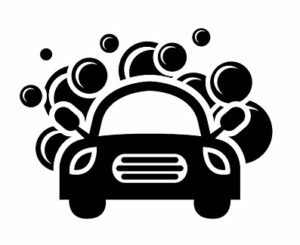 The 2019 Spring car wash will be Saturday, April 20th from noon to 4pm. This will be our *only* fundraising carwash this spring so please be sure to sign up here – musicians, friends, parents, anyone who can help. You can even help us with sign making before if you can’t make it on the actual day! Thanks to Rick’s Chevron, 8506 5th Ave NE, for hosting these fundraisers. The suggested donation on the day of the washes is $20. Contact RHS Jazz parent Nat Brace at carwash@rooseveltjazz.org with your questions and he’ll be happy to help. Thanks for your support of Roosevelt Jazz,!